BINH THUAN (VNS) — The Border Guard Command of this southern province is still searching for the last missing fisherman of the ill-fated fishing boat BTh 98603 TS, which exploded and sank yesterday. Yesterday afternoon, HCM City Coastal Information Station received a report of the explosion that took place some 200 nautical miles offshore from Phan Thiet City. 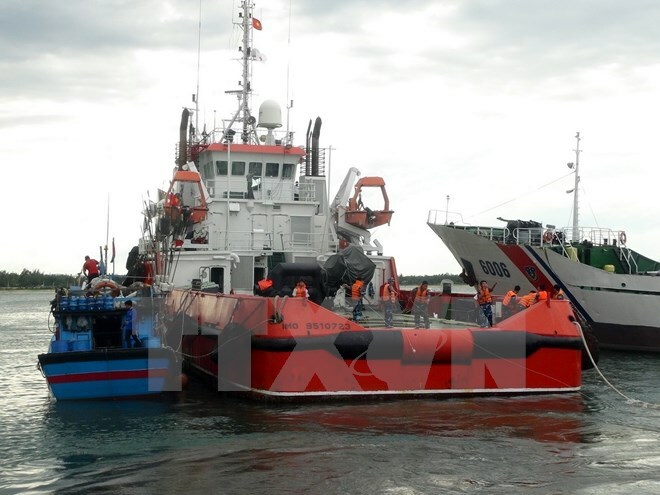 The fishing boat from Binh Thuan Province's Phu Quy Island District had 16 crew members on board at the time of the explosion. The station broadcast a request for emergency assistance, prompting other fishing boats working nearby to make their way to the exploded vessel and rescue the crew. Fifteen crew members were rescued as of this morning, while one remains lost at sea.